The Google Maps April Fools’ Day joke involved a wild scavenger hunt to locate 151 different Pokemon across the the globe. However, few realised that completing the challenge would also provide a special prize. 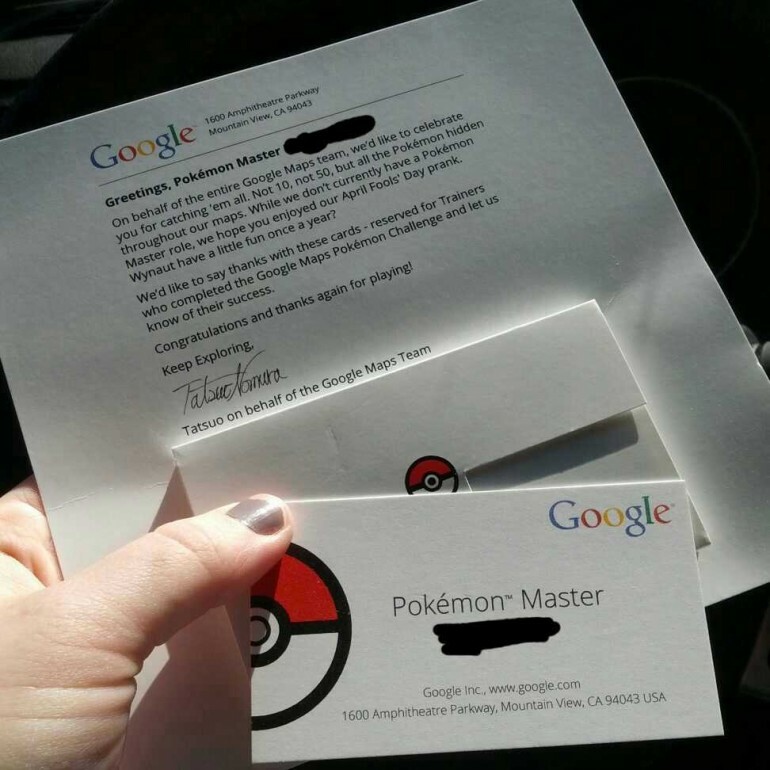 Google is now shipping special Pokemon Master cards out for the winners, complete with their name printed just below the title. First appearing on Reddit, the story appears to be making its way across the internet. Several other users have also reported the arrival of the cards, although it appears that there is a catch behind it. The prizes are only being shipped to those who remembered to fill in the completion form on Google+ after locating all the Pokemon. If any of you did, it is likely your prize is in the mail. It is difficult to pinpoint which part of the prize is more enticing; the fact that it is a Google business card, or that the owner has the official title of Pokemon Master.